Warhammer Champions City Championship Saturday, May 4th! $3,750 in Cash Prizes! Pre-Register Now! | Millennium Games | Over 1,000 Games! Warhammer Champions City Championship Saturday, May 4th! $3,750 in Cash Prizes! Pre-Register Now! 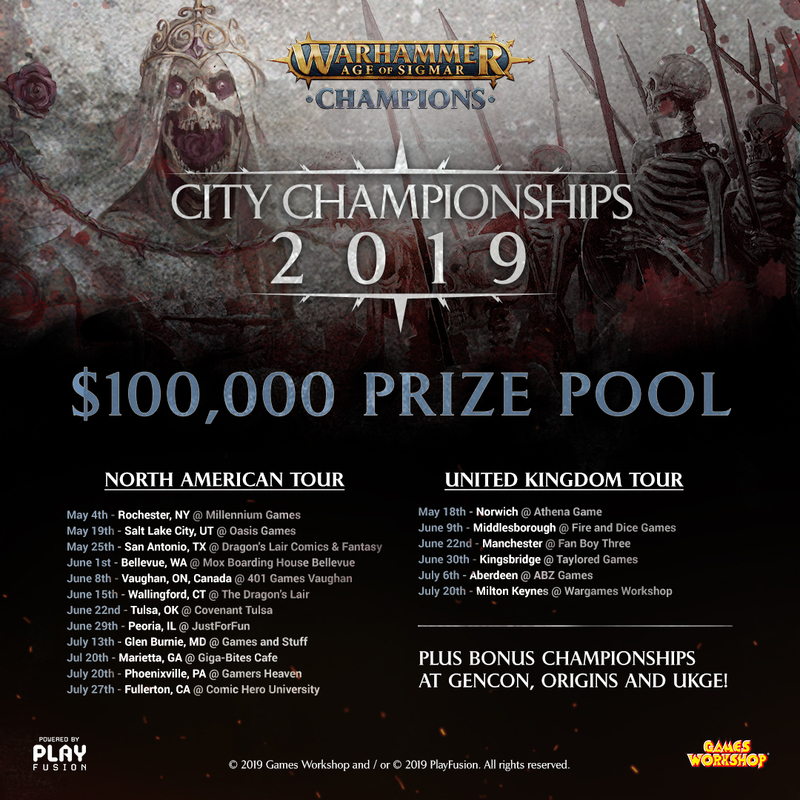 Millennium Games is proud to host the first City Championship event for the Warhammer Champions Trading Card Game! With over $5,000 worth of guaranteed prizes in the pot (including $3,750 cold, hard cash! ), this in City Championship event is not to be missed! Format – Pitched Battle (Constructed). Swiss rounds. Top 8 cut. Over $3700 in cash prizes for the top 8! Pre-Register using the button below to guarantee your spot!